George Brown College Toronto, ON, Canada announces that Moriyama & Teshima Architects + Acton Ostry Architects have been selected to design The Arbour. This is the next step in Ontario's first construction of its kind, a 12-story mass timber building. The design is based on sustainability, the aim is a net-positive building. Groundbreaking is scheduled for 2021. 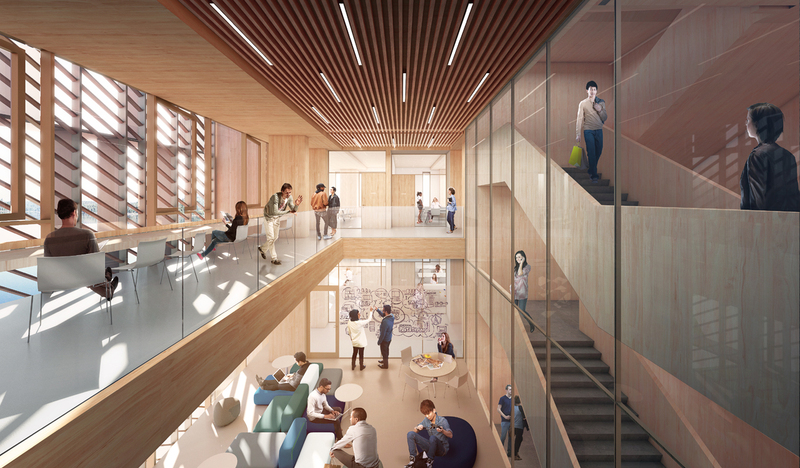 The Arbour will host Canada's first Tall Wood Research Institute to share experience, ideas and research into solid wood construction. The building will also house George Brown's School of Computer Technology. Once the project is completed, students and researchers will learn how to design, build, operate and monitor climate-friendly buildings. 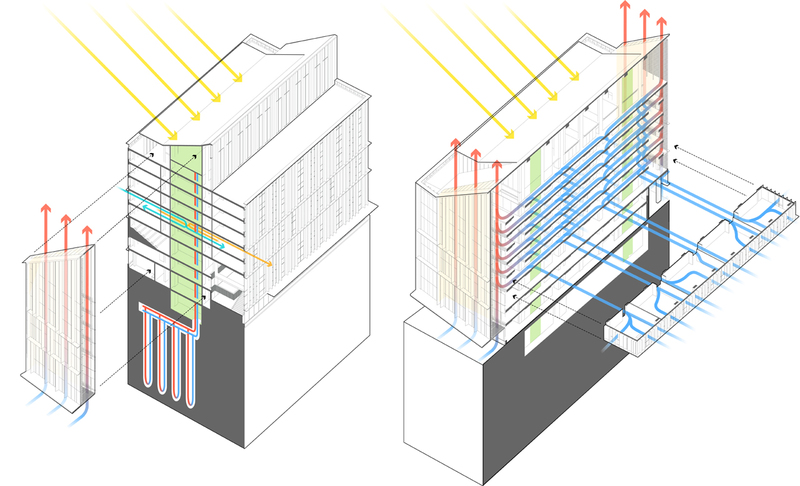 Transsolar worked collaboratively with the team to design a climate-responsive façade with an integrated ventilation concept that encourages flow of natural air and daylight into all student spaces.